HTM professionals need the right tools to do their job and that includes doing PMs and repairs to imaging equipment. TechNation reached out to professionals in the world of HTM to find out the latest about test equipment for diagnostic imaging devices. The panel of participants shared their insights regarding the newest technology, what to consider when purchasing testing equipment and more. The panel for this roundtable discussion on imaging test equipment includes Radcal Corporation President and CEO Curt Harkless, RTI Senior Applications and Product Specialist Rob Morrison, Unfors RaySafe AB/Fluke Corporation Senior Product Manager Göran Zelander and Kenneth Hable, MD, BSRT, director of engineering and training at Technical Prospects. Q: What are some of the newest imaging technologies health care facilities should be aware of when determining test equipment needs? Hable: One of the unique things about the diagnostic imaging industry is the way we continuously refine and reinvent equipment that already exists. This means that while the technology may advance, the testing tools may remain relatively the same. 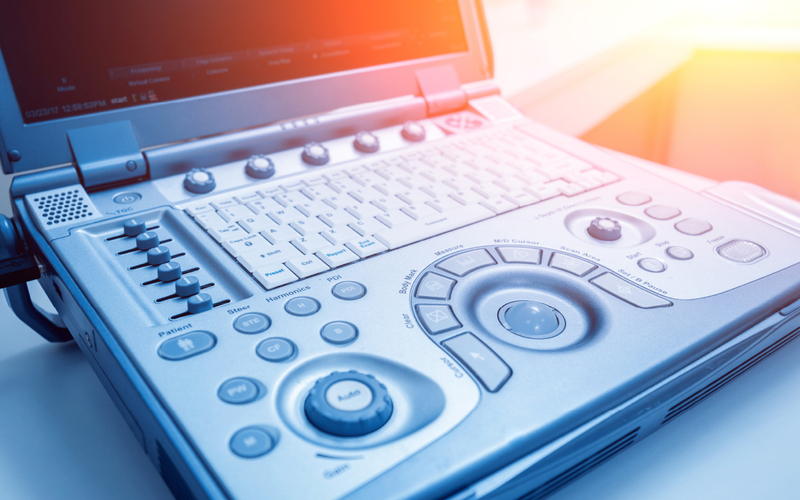 For example, we’ve seen ultrasound in medicine for more than 50 years, and while it has evolved to the point of live streaming video, much of the basic test equipment and the process remains largely unchanged. Harkless: Mammography equipment, Digital Breast Tomosynthesis (DBT) especially, is advancing rapidly. These systems often have specialized or manufacturer-specific equipment required for installation, service and quality assurance. New contrast-enhanced diagnostic X-ray imaging systems exploit novel filtration such as copper or titanium. Accurate dose measurement requires energy independent ion chambers or solid-state sensors equipped with new calibrations. Innovative CT systems based on X-ray generation at dual voltages provide unparalleled imaging as well as challenges for quality assurance instruments. Morrison: One of them would be cone beam CT type devices. They are a challenge to know what are the necessary measurements that need to be performed and what parameters should be measured. When you look at the segment known as dental cone beam CT devices the American Association of Physicist in Medicine (AAPM) has a task group (TG-261) seeking to give guidance on what should be measured and how to measure. Another imaging device I would add are mini C-arm type devices. They have very low output and it can be a real challenge to measure all the different parameters. Zelander: The last few years, there has been a rapid development in mammography with new so-called target-filter combinations from the major OEMs. The objectives are, as always, to minimize dose and improve image quality. In addition, several OEMs offer tomosynthesis capabilities which also puts new demands on the test equipment. Q: What are the most important types of test equipment imaging service professionals need? Hable: Imaging service professionals should rely, first and foremost, on the test equipment recommended by the imaging system’s original equipment manufacturer (OEM). Every OEM provides this testing information as part of the equipment’s preventative maintenance process, and these tools are available through both the OEM and third-party suppliers. I recommend that imaging service engineers have a firm grasp on each modality’s preventative care plan and then maintain the specific test schedule with the suggested test tools. If, for any reason, engineers can’t utilize the specific products approved by the equipment’s manufacturer, it is important that they find testing tools that meet or exceed the OEM’s specifications and standards. Harkless: In X-ray imaging, the focus is on optimizing imaging quality with minimal patient exposure. Today’s diagnostic X-ray QA instruments can make this fast and easy. Exposure is typically characterized by dose which can be reliably measured on all machines using ion chambers. Alternatively, solid-state sensors offer a number of advantages, but must be uniquely calibrated for every beam quality to be examined. The energy spectrum used by the imager is equally important. Solid-state multi-sensors provide the means to characterize the spectrum using a single exposure where many filters and exposures were previously required. The X-ray generator current is another important QA measurement. Invasive measurement is increasingly impractical, making non-invasive measurement more attractive and, at times, necessary. For CT imaging, the geometry of the beam is also important. Cost-effective beam characterization tools are now available that can make this characterization dramatically simpler than in the past. Morrison: One type of meter which I am very familiar with is non-invasive X-ray test equipment which is used to cover all X-ray imaging modalities as well as the ability to measure all the different parameters. Every X-ray imaging field service engineer has to have a non-invasive meter to measure kV, time, mA, mAs, dose, dose rate, dose/pulse and pulse rate. However, there are many other test tools that today’s engineer uses from digital multimeters to oscilloscopes along with all the needed standard mechanical tools and specialized tools. I saw recently where one company provides the field engineer with a high precision digital level as part of their kit. Zelander: In diagnostic X-ray imaging, a meter is needed that will measure dose, dose rate, kV and HVL. The types of tests that need to be conducted can be stipulated in OEM service manuals or in quality control manuals from organizations such as American College of Radiology (ACR). Q: How have changes in requirements by accreditation organizations and the CMS ruling on the requirement to follow OEM recommended schedules and testing techniques affected the types of test equipment imaging professionals need and use? Hable: The recent mandates and rulings by various accreditation organizations and the CMS further reinforce the importance of adhering to each OEM’s established schedules and techniques. For example, not all radiation testing devices are the same or provide the same measurement metrics, making it difficult to draw conclusions when reviewing test results based on OEM-provided baselines. When able, engineers should select test tools included on the equipment manufacturer’s pre-approved list, which generally includes two to four brands available for purchase. Harkless: The Joint Commission Accreditation Healthcare Organization (JCAHO) established the requirement for luminance characterization of imaging systems. Light sensor instruments perform this measurement reliably and can be purchased as stand-alone solutions or as an integral part of the X-ray QA instrument. Increasingly, service and QA of diagnostic X-ray systems require OEM specific equipment such as IQST phantoms for mammography imagers. In these instances, it is important to ensure your test instrument and sensor work with this equipment. Morrison: I think of laws and requirements like MQSA and ACR accreditation for mammography and the ACR accreditation for CT. When strictly looking at the medical X-ray imaging world, I believe these laws and requirements have placed greater requirements on testing than the CMS ruling. The reason why I believe that is because most hospitals have service contracts of one sort or another on their imaging equipment and that includes the normal preventative maintenance schedule by the OEM and, in our realm, everyone has been doing the same testing for decades. In the 1990s you saw a humongous lobby in the breast cancer realm and that pushed the envelope for mammography screening, etc. This brought along ACR accreditation and MQSA. With those requirements came more testing. With the use of noninvasive meters for those measurements come challenges due to the constant change of X-ray tube targets and the filtration used by the OEMs. That requires us to continue to create new calibrations for new beam qualities and then be able to provide them to our existing users and potential new customers. Zelander: Typically the OEMs will know better what tests are required on a certain X-ray machine. It’s therefore important for any imaging professional to make sure that tools are used that are fully validated by the respective OEMs. In addition, legal compliance is just as important as an independent complement to making sure the X-rab lab is safe for patients. Q: What criteria should be considered when purchasing test equipment for diagnostic imaging systems? Hable: Again, imaging service engineers should purchase the test equipment recommended by the OEM whenever possible. If for some reason engineers are unable to, or choose not to, utilize approved brands – they need to do their homework. Just because a brand is not recommended doesn’t necessarily mean that those tools aren’t appropriate or effective. However, engineers need to research and investigate in order to confirm that the test equipment manufacturer has vetted the tools with the specific OEM modality and can provide quantified results. Harkless: Typical lifetimes for diagnostic X-ray quality assurance instruments are 5-10 years or longer. Look for a manufacturer with a history of instrument longevity and a field upgradeable design to accommodate ever evolving measurement requirements. The high duty cycle for today’s diagnostic X-ray systems means that time is money. Look for convenience features such as noninvasive current (mA) measurement and low-cost CT beam characterization tools that can dramatically reduce time. Automated report generation tools are emerging as a huge timesaver. Look for instruments that provide real-time report generation capability and support for developing custom reports. Today’s evolving consumer devices, such as tablets and phones, provide a convenient and familiar interface. Look for progressive solutions that embrace support for these devices such as iOS and Android apps. Morrison: There is a need for a durable device able to measure all modalities and their required parameters giving accurate results. Further benefits would be the ability to save, report and trend those results using a modern software approach. The final things would be the warranty coverage, the required frequency of calibration by an ISO 17025 certified lab and the cost of those calibrations. Since non-invasive test equipment is typically used for 6 to 10 years one should look at the total cost of ownership, not just the initial purchase price. Zelander: It is important that the test tool is complete for all modality needs. Many tools can be purchased in a limited configuration and later upgraded when new X-ray equipment reaches the market. The second aspect is ease-of-use to minimize hassle and, more importantly, to minimize the risk of human errors leading to costly re-visits or worse, an incorrectly calibrated X-ray machine. Q: What can and should imaging service professionals do to protect themselves from radiation and other dangers when servicing imaging equipment? Hable: All imaging service engineers and professionals need to receive the appropriate training in basic radiation safety. When working in the presence of radiation, professionals should go back to the acronym ALARA, or “As Low As Reasonably Achievable.” We generally apply this rule to three different pillars: time or shortest amount of time possible, distance or the furthest possible location from the radiation source, and shielding or wearing the appropriate protection at all times. As an imaging service professional, you owe it to yourself and your employer to adhere to ALARA as often as you can. Harkless: Diagnostic X-ray imaging systems have safety systems that are very mature. Radiation safety guidelines use screens and distance protocols such as lead aprons and barriers to minimize exposure. Shielding integrity can be assessed using scatter and leakage sensors such as ion chambers. These can be stand-alone meters or an integrated part of the diagnostic X-ray quality assurance instrument. Finally, dosimetry badges should be worn and can be purchased from many manufacturers. Morrison: My quick response would be to stay away from the X-ray source. However, service engineers have to be in the room close to the X-ray source especially when measuring fluoro. How or what do you do to you protect yourself from that? You use the ALARA principle which means you limit your time, increase your distance and shield yourself. Remembering these principles will help protect yourself. Also remember that you get more radiation from a flight from Los Angeles to New York City than you do when you get a dental X-ray. Zelander: Use long cables/wireless connections to stay out of any scattered radiation. If that’s not available, read the display after any exposures. While measuring, for example tube leakage close the machine, always wear an apron. Q: What else do you think TechNation readers need to know about test equipment for diagnostic imaging devices? Hable: All imaging service engineers need to remember that, at the most basic level, X-ray admitting devices can be dangerous and potentially harmful. You need to be vigilant and constantly aware of what the machine is doing when servicing it. Through proper safety training and a functional understanding of the equipment, engineers can keep themselves and others out of harm’s way. Harkless: I frequently emphasize that diagnostic X-ray quality assurance instruments represent more than a simple purchase; they represent the formation of a relationship. Select a partner that offers comprehensive service, warranty and calibration programs making the associated costs reasonable and predictable. 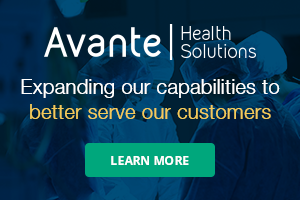 Look for a partner that provides free field upgradeable capabilities to accommodate changing measurement requirements for the lifetime of your instrument. Morrison: In our realm of noninvasive test equipment for X-ray imaging it is a small but specialized world. As a user, you depend on that equipment on a regular basis. You need it to work when you need it and to not only work but to give you accurate results. However, all equipment breaks down at some time or another. Make sure that the company who you buy the product from stands behind it, supports it and continues to develop it. What I am saying could be said about anything you buy. But when you are hit with all the marketing hype you do not always remember those principles. Make sure you do your due diligence before buying. Zelander: The information above primarily speaks about testing of diagnostic X-ray equipment. Of course, testing of MR and ultrasound equipment will be needed as well, even though these techniques do not use radiation to create image.